SAN FRANCISCO (AP) -- Barry Bonds will remain free while he appeals his conviction for giving misleading testimony before a grand jury. 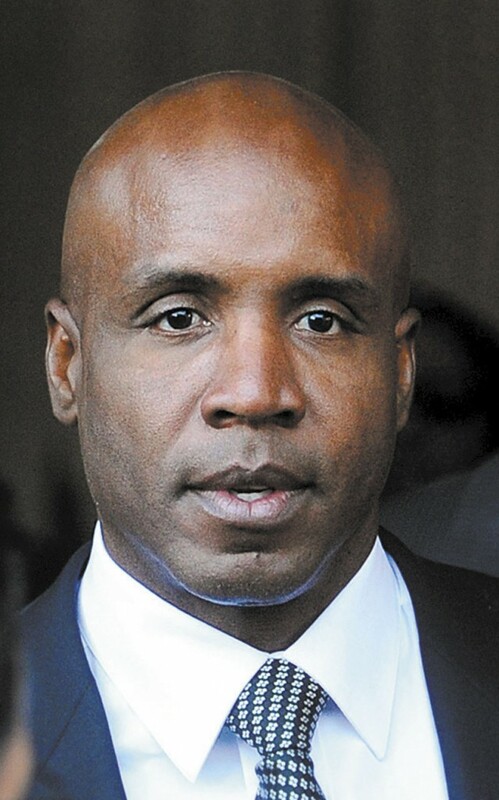 SAN FRANCISCO (AP) — Barry Bonds will remain free while he appeals his conviction for giving misleading testimony before a grand jury. A federal judge handed Bonds a sentence of 30 days of house arrest, two years of probation and 250 hours of community service on Friday — then delayed the sentence pending an appeal likely to take a year or more. U.S. District Judge Susan Illston also put on hold a $4,000 fine against Bonds for his obstruction of justice conviction arising from a grand jury appearance eight years ago. Prosecutors wanted the home run king to spend 15 months in prison. Assistant U.S. Attorney Matthew Parrella argued that home confinement wasn’t punishment enough, “for a man with a 15,000 square foot house with all the advantages.” Bonds lives on a nearly two-acre estate in Beverly Hills. Parrella called the sentence a “slap on the wrist” and the fine “almost laughable” for a former baseball superstar who made millions of dollars during his career. Parrella had sought 15 months in prison, disagreeing with the judge’s conclusion that the crime was “aberrant” behavior for an otherwise law-abiding Bonds who has donated money and time to charities. Illston said none of that had any bearing on Bonds’ sentence. She agreed with a probation department report that called Bonds’ conviction and “aberration” in his life. She said she received “dozens” of letters in support of Bonds and discussing how he has given money and time “for decades” to charitable causes. Illston also said she had to remain “consistent” and give Bonds a sentence similar to those meted out to two other figures convicted of similar crimes in the same investigation. She also noted that most obstruction cases were more serious, and often involved violence being used against witnesses. Well-wishers hugged the 47-year-old Bonds in the hallway outside the courtroom after the hearing was over. He declined to speak in court. A jury convicted Bonds in April of purposely answering questions about steroids with rambling non sequiturs in an attempt to mislead a grand jury investigating sports doping in December 2003. Bonds’ trial jury failed to reach a verdict on three other charges accusing Bonds of lying when he denied taking performance-enhancing drugs and when he denied receiving injections from someone other than his doctor. Prosecutors in September dropped those deadlocked charges, giving up on another trial. His lead attorney, Allen Ruby, said Bonds will formally file a “notice of appeal” Friday. Major League Baseball’s career home runs leader, Bonds is the highest-profile defendant — and the last — to come out of the government’s investigation of the steroids distribution ring built around the Bay Area Laboratory Co-Operative, founded by Victor Conte. Besides the seven-time MVP, 10 people were convicted of various charges. Six of them, including track star Marion Jones, were ensnared for lying to grand jurors, federal investigators or the court. Others, including Bonds’ personal trainer Greg Anderson, pleaded guilty to steroid distribution charges. Bonds was one of two former baseball superstars to stand trial in doping-related cases this year. The trial of pitcher Roger Clemens was halted after just two days in July because prosecutors used inadmissible evidence. U.S. District Judge Reggie Walton has set a new trial for April 17.